Be sure to check out the details HERE to enter!! It's the last Wednesday of the month and that means it is time to show off another awesome DeNami Design stamp with a blog hop! 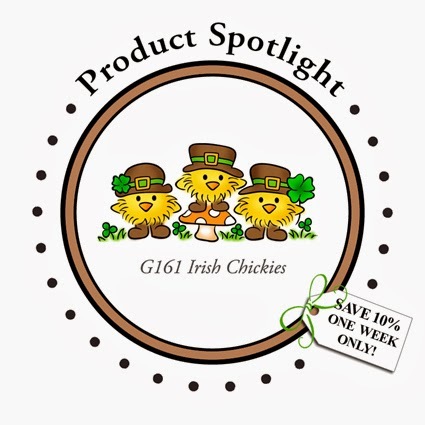 This month we are featuring the off-the-charts adorable Irish Chickies stamp! Great design with the washi tape and buttons Emily! And of course the Irish chickies are adorable! LOVE how you used the Washi tape, Emily. The little chickies are adorable as Irishmen. Super design for this card. Oh how adorable your Irish chickies are! Your washi tape - so eye-catching! Once again, another card to brighten my day; thank you! Love the way you popped up the chickies. They really stand out on the card. Cute washi tape. Tee Hee this is totally adorns! Love love it! Very cheerful! Love the popping up of the chickies! Great design of washi tape! So cute! My favorite card. I love the shamrock card from Monday. Since my husband is Irish this is the card I'm going to make for him. I am in LOVE with the way you used the Washi and buttons Emily!!! But it's no wonder since you are my official Washi Tape hero!!! This is such a cute card, very well done and very clever!! Emily, I love how you used your washi tape. This card design rocks! TFS! Love the washi tape Emily and those cute chickies coloured so perfectly! Oh, my! Absolutely darling card with those sweet little St. Pat chickies! And, great use of washi tape and buttons! love your card. The washi and buttons are so cute. How can you go wrong with these adorable guys! Adorable--love how you used the washi tape. What a great card! And I love how you used the washi on it. You are certainly going to make a lot of people happy for St Patty's day. March is getting close...do you suppose it will come in like a lamb or a lion? You always make me think about washi tape in a new way Emily! I love this look. Love it. Love how you created your large chevron....Cute card. How FUN is this!!! Love the Gorgeous background with the chickens. So Adorable! ALL of the Chickies' stamps are so cute, but I think the Irish Chickies are the cutest! Your card really is perfect for showcasing such a cute lineup. 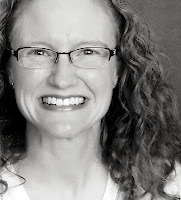 Embossed Elements: SHAMROCKS + a Giveaway!